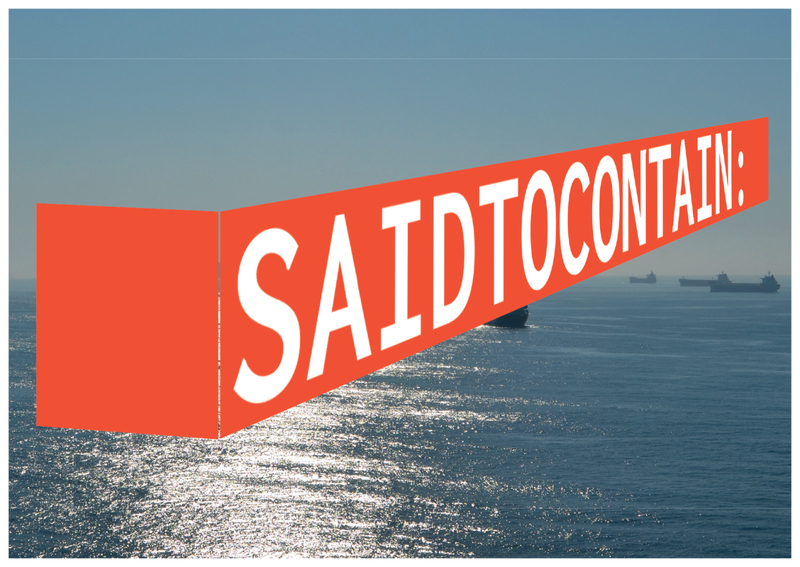 This week at HFBK, my students told me about a project by other HFBK students called Said to Contain (https://saidtocontain.org/). The basic premise is that the three artists ship themselves to Zurich (Switzerland), Buenos Aires (Argentina), Hamburg (Germany) and Belgrade (Serbia) to initiate social practice events where they gather local participants to discuss the effect of global trade at a human level. Although attracted to the title (http://www.logisticsglossary.com/de/term/said-to-contain/), at first I was irritated by the pictures of artists with camera, book and wall drawings to communicate the heavy lifting of proposed art making (https://saidtocontain.org/residency-on-board/). Even the event photos seemed too easy (see people gathering, isn’t it wonderful? see https://saidtocontain.org/schedule/). It felt limited and from a privileged point of view. But upon a chance encounter with another section of their site, I found the notes at https://saidtocontain.org/2016/10/24/a-revolution-of-letting-go-notes-on-the-stuttgart-session/ able to extend the artwork beyond the local event. The online documentation also introduced me to Laleh Khalili, someone who should be on my radar (https://www.soas.ac.uk/staff/staff36189.php) Such notes, recordings with sound, and other thorough documentation allow the project to affect those of us without money or time to travel. For starters, I would find a bibliography helpful. Making artwork about global trade from a privileged position is tricky business. So here I am. On my Fulbright in the strongest economy in the European Union in a guest house for a top university with additional support from a private liberal arts college in the United States. What’s important is how effectively and rigorously we produce and disseminate the artwork from this entitled position to be sure that it involves many voices and is less top down. But battling commercial tech control over our lives requires tech-savvy interventions. The few of my HFBK students scorn documentation and institutional or commercial vehicles for dissemination. In the face of the type of data harvesting that yesterday’s New York Times Magazine reviews (see Amanda Hess’ “How Privacy Became a Commodity for the Rich and Powerful” from May 9, 2017, https://www.nytimes.com/2017/05/09/magazine/how-privacy-became-a-commodity-for-the-rich-and-powerful.html), would it not make more of an impact to co-op some of these companies’ tools to introduce to a larger audience some playful, through-provoking online creations? I appreciate social practices’ goals of gathering people at time when too many focus on their devices instead of face to face interactions, but still, my greater sense of urgency leads me to think that some device-based intervention, perhaps coupled with local physical events is ideal. Over the next week, I’ll review the work from another container-themed residency (http://www.containerartistresidency01.org/), but also keep my eye out for people effective online interventions. 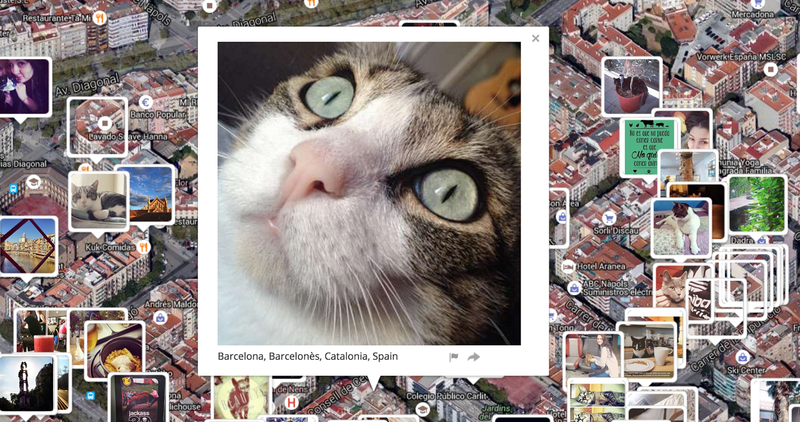 My husband Owen Mundy and his I Know Where Your Cat Lives (http://iknowwhereyourcatlives.com/about/) as one such example. What’s amazing about his project is how many changed their privacy setting after visiting the site.